Thick cards with silk finish. 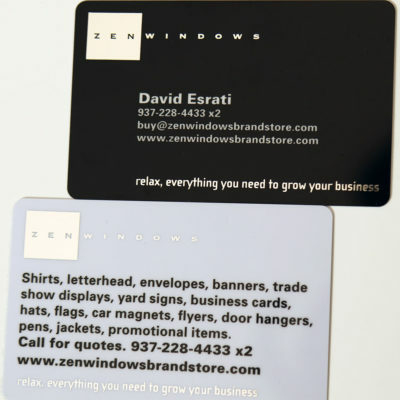 4/color black one side, white the other- both imprinted/embossed with silver foil. Smooth silky finish- sparkling silver. A card like no other, and you can easily mail it, carry a bunch, and even pin it to a bulletin board.